This cute Ahoy Matey! Tee is perfect for those warm summer days! Snaps at the neckline for easier on-and-off, a cute and whimsical seagull. Fun textures and the vibrant teal color make this a fun tee. 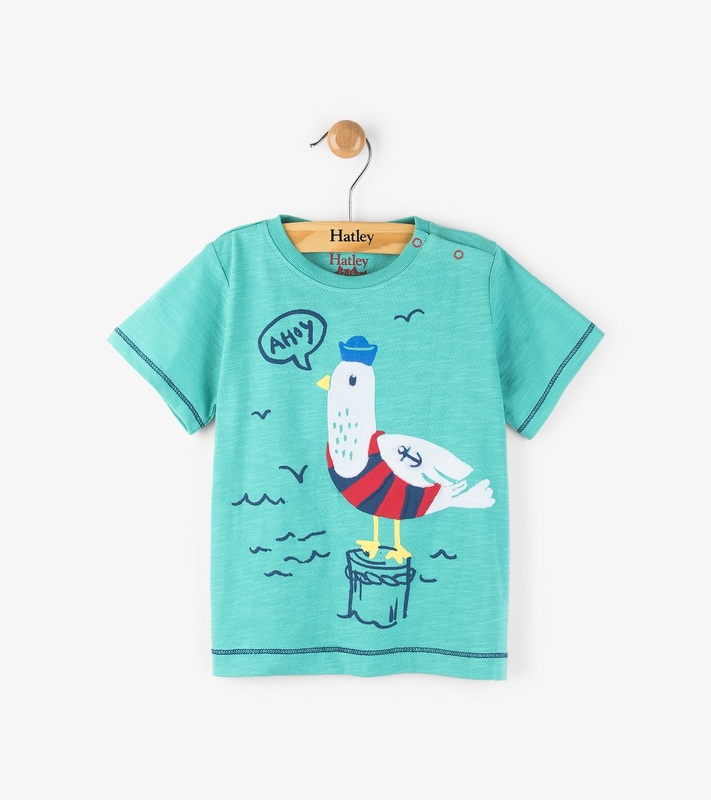 Made of 100% cotton by Hatley.